You often hear that death and taxes are the only things in life that are certain. Maybe we should add "change" to that list as well. Change is constant and even occurs in marketplaces as old as real estate! We're seeing it now with the advent of platforms like Airbnb. Here in Chicago, more and more people are opening up their minds to the possibilities of the potential Airbnb can have for their properties, but it's a slow moving osmosis that has yet to catch on a grand scale due to the fear of the unknown. Often, it's this fear of the unknown, that leads people to spread myths about certain topics. The proverbial "Bigfoot" of the real estate industry is Airbnb (a tad bit more cleaned up though!). 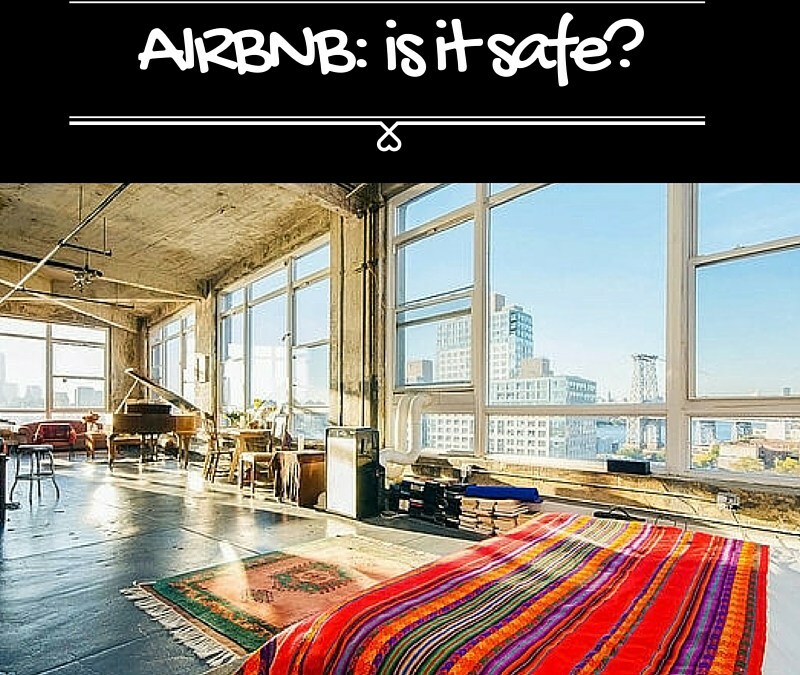 Let's dig into the 3 biggest myths you may have heard about running an Airbnb in your property. The most common myth of all! On the surface, this makes sense. Someone who only comes to your home for a few days vs. someone renting it out or living there full time wouldn't take care of it as much. Makes sense, right? a) the last time you stayed at a hotel, did you purposely damage anything? Probably not. You know that the hotel has your personal and financial information and can charge you for damages. b) when you live somewhere, you might be inside for 14 hours of the day. But, when you go on vacation or visit another city, how often are you inside where ever you're staying? Maybe 2-3 hours of the day and then during the night to sleep? So if most people don't damage where they stay out of respect and most people are only inside for 15% of the time they vacation, is wear and tear really as big of an issue as you may think? Nope! Add on the fact that professional Airbnb management companies like HelpHost do thorough cleaning and in-depth inspections 3-4 times a week and we'd argue that your property is has more value in a given year vs a long term rental! This term stems from the 1980's when developments were springing all over the Midwest near traditional farming communities. The residents of these farming communities were terrified of the impact that the influx of new residents would have on their culture. a) new people around the area. b) businesses popping up to sell their products to potential new customers. Now if you stop thinking right there, this might seem like a bad idea. But let's go a step further and think about what these changes will actually do. a) new people around the area: introduces diversity and opens the doors for new ideas to mix. A potential tourist will also see a neighborhoods culture and experience it first-hand increasing the likelihood of acceptance. b) businesses popping up to sell their products to potentially new customers - economic development and increased tax revenue which will help the communities infrastructure, schools and quality of life. Through a positive lens, we can see that this myth is based on irrational and derisive biases. Diversity and economic development help grow communities, not tear them down! Lastly, this myth revolves around the few bad apples that the media loves to publicize: the crazy parties. Yes, on rare occasion this has happened, but did you know there are over 80,000 bookings per day via Airbnb? Digest the number 80,000 for a second and then take into consideration how many times we hear about a bad apple, 3 times a year? 10 at most? The % of bad encounters on Airbnb is clearly minuscule and should not be a governing reason to not consider the opportunity it can bring. 99.99% of the time, you'll have an average tourist visiting their friends/family or a family who just needs a place to stay for a weekend that's home-y and comfortable. There you have it. 3 of the biggest myths, busted! Still skeptical? We understand that. This is a new concept for most people. We only hope that by reading this article you might question traditional, long held beliefs and experience the opportunity Airbnb brings first hand. Older PostMaster Leasing, Highest-Best Use. Increase Your NOI with Airbnb. Oh, my.